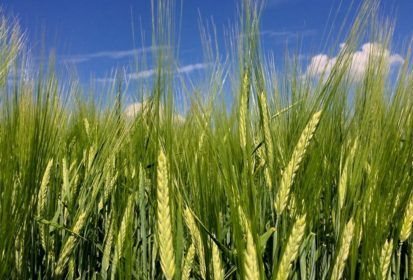 CNS Canada — Jeff Nielsen, a director with Alberta Barley, expected barley exports to make a strong showing. Numbers recently posted by the Canadian Grain Commission confirmed the good news he had been waiting for. The CGC numbers showed 1.73 million tonnes of Canadian barley, to all destinations, have been shipped as of the end of May for this crop year. During the same period for the 2016-17 crop year, Canada exported 1.026 million tonnes. By July 31, the end of the current crop year, about two million tonnes will be exported, 1.3 million in feed barley and the rest in malt. Nielsen said it’s gratifying that most of the feed barley was sold this winter when prices were strong. Domestic feed prices in the Lethbridge area were consistently valued in the high end of $4 per bushel. China was the top buyer, doubling its imports from a year ago. It took 1.573 million tonnes in this crop year, compared to 790,300 tonnes a year ago. That’s a 99 per cent increase, year over year. China’s interest is likely due to weather issues in Australia, which is experiencing a harsh drought. As well, countries in the Black Sea region, Ukraine and Germany are experiencing dry conditions, limiting supply. On the flip side, producers in France are getting too much rain, Nielsen said. Those conditions add up to a good outlook for barley, even with increased barley acreage this spring across Canada (6.499 million compared to 5.766 million in 2017) and in Alberta (3.114 million, compared to 2.85 million last year), according to Statistics Canada. Saskatchewan seeded area for barley is 2.692 million acres this year, compared to 2.325 million a year ago, StatsCan said. Manitoba producers seeded 330,000 acres of barley this year compared to 265,000 a year ago. “I’m going to be quite bullish on it and expect we’ll see strong values for barley” in the year ahead, Nielsen said.